This fabulous chambray denim has a beautifully soft and smooth finish. Chambray is a light weight denim and is great for making dresses, shirts, shorts, skirts, tops and more it is such a versatile fabric. It would also be great to use in interiors! This fun Spotty design is a lovely additional to our range of chambrays and would be lovely to incorporate into your designs. This beautiful range of chambray is from our luxury collection of designer fabrics. 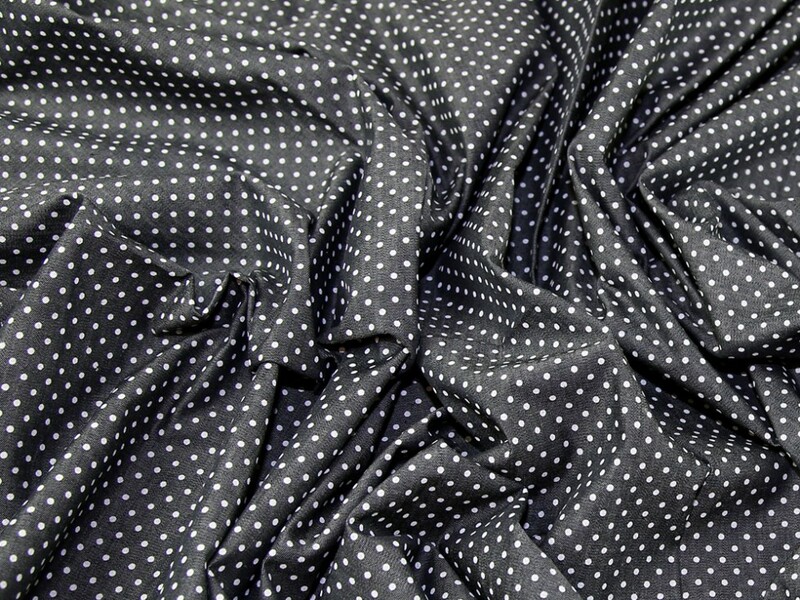 By feeling this fabric you can instantly see the quality. Available in beautiful shades of denim a sky blue and indigo blue. I really love chambray fabrics (and have sewn with a lot). This one from Minerva is one of my favourites. I love the little spotty design. Its cute and a bit more interesting than a plain fabric but not too OTT. I got the lighter blue and its a lovely shade. Would definitely recommend.